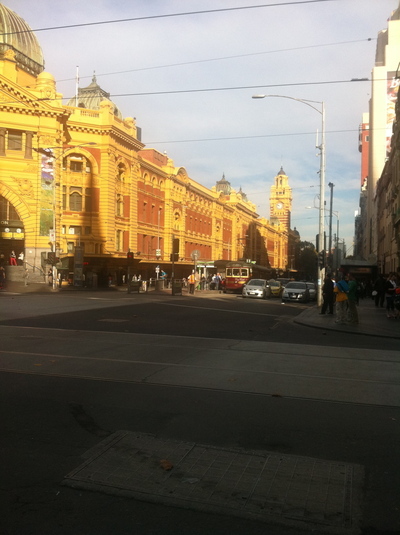 The public transport network in Melbourne comprises of a combination of public and private operators. The network is rather streamlined, despite enjoying two ticketing systems, until the recent phasing out of the MetCard system to keep Myki in place. However, there are ways to save money on public transport when you travel on certain days, and you plan your routes carefully. 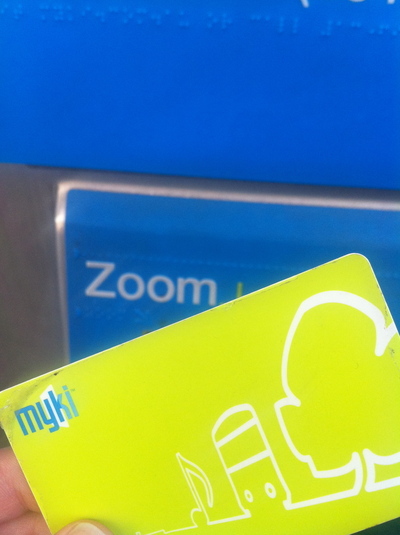 The Myki system is fantastic when you plan to use public transport in Melbourne at least more than twice a day. If you plan on enjoying a full day out, then make it on a weekend or on a public holiday as your Myki usage will be cheaper. Unlimited travel is enjoyed in both zones 1 & 2 on weekends and public holidays for only $3.50 a day. That is a saving of around $4 if you use your Myki on a weekend. Although that does not sound like much, just replace four weekday trips of unlimited travel, with four days of weekend trips in lieu, that is $16 a month, equating to $192 saved in a year. Melbourne's trams, a great way to save money. If you're either a local or a visitor to this dynamic city, and you need to travel to and from Melbourne by plane, easily the cheapest way of getting to the airport is via SkyBus. SkyBus is an airport transfer service that departs from Southern Cross Station for Tullamarine Airport, every 10-20 minutes. A cab from the airport to the city can easily set you back at least around $50, while a single SkyBus ride only takes 20 minutes and costs $17, and a dollar less if you buy a return ticket. Remember, you have three months to use your return ticket for your next leg of travel. A free shuttle service will also take you to and pick you up from your hotel from Southern Cross Station. These free, additional transfer services will save you at least $10-20; money that you would have spent on two cabs. 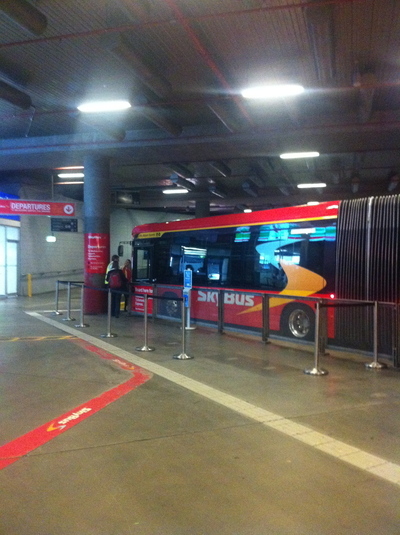 The SkyBus, the quickest and cheapest way to travel to and from Melbourne airport. Even better, there are free public transport options that take you around the city. 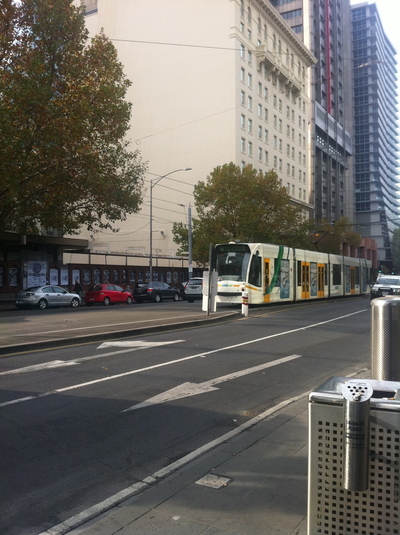 The City Circle Tram is popular for both locals and visitors to Melbourne alike. There is no need to worry about touching on with a MyKi, and you are enjoying different pieces of Melbourne history. This free tram service even takes you to Docklands. Furthermore, the City of Melbourne has established some free tourist shuttle buses (locals use them too) that take you around the city, and even as far as the Royal Botanical Gardens for free. 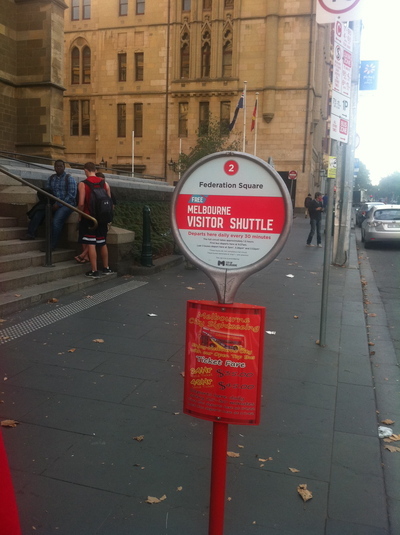 The ideal pick up point for this free shuttle service is opposite Federation Square on Flinders Street. What does it take to be a godmother?